The VP-510 is a down-converter for 4K UHD HDMI signals. The unit takes a 4K resolution input, provides a loop output and down-converts it to 2K resolution. It allows the use of legacy equipment with 4K signals (23.98Hz to 30Hz). 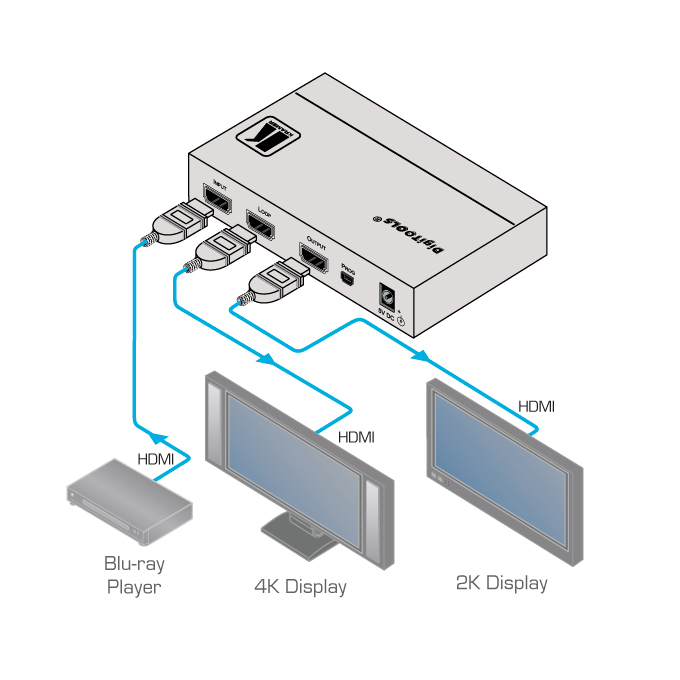 HDMI Signal Downscaling - From 4K/2K to 2K/1080p. Resolution Support - 4K UHD 4096_2160p @24Hz and 3840_2160p @24/25/30Hz. HDMI Signal Bypass - For non-4K resolutions. Maximum Data Rate - 10.2Gbps (3.4Gbps per graphic channel). HDMI Support - 3D, Deep Color, x.v.Color, Dolby TrueHD, Dolby Digital Plus, DTS-HD and 7.1 multi-channel audio.